Posted By:Unknown | At:9:56 AM Be the first to comment! Abuja (AFP) - Nigeria on Sunday became Africa's biggest economy, leap-frogging South Africa, after the government announced a long-overdue rebasing of the country's gross domestic product. The new calculations take into account changes in production and consumption since the last time the exercise was carried out in 1990, including an added focus on communications and the movie industry. The data indicated that the economy grew to $453 billion in 2012, instead of $264 billion as measured by the World Bank for that year. South Africa's economy was at $384 billion in 2012, according to the World Bank. Estimates for 2013 indicated further expansion to $510 billion, Nigeria's chief statistician, Yemi Kale, told a news conference in the capital, Abuja. "Nigeria has moved to be the largest economy by GDP size in Africa and has moved to be the 26th largest economy in the world," finance minister Ngozi Okonjo-Iweala said. "On a per capita basis, Nigeria is number 121 in the world. So, we have a total GDP size where we have moved up to 26th," the former World Bank managing director added. 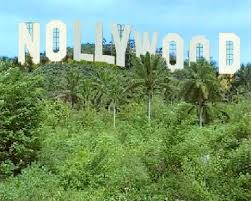 Nollywood, for example, was now worth 853.9 billion naira ($5.1 billion, 3.7 billion euros) or 1.2 percent of GDP. "The rebased GDP numbers imply that the level of economic activity is much higher than previously reported," the finance ministry said in a statement, adding that the economy was becoming more driven by the service sector. "It indicates a clearer picture of Nigeria’s economic landscape, and the significant opportunity for growth and wealth creation in the Nigerian economy." South African economists pointed out that their country remains the most important economy in the continent despite being overtaken by Nigeria as Africa's biggest. "South Africa will remain one of the important economies of the continent, though this rebasing will be a significant step in establishing Nigeria as a true African powerhouse," said Investec portfolio manager, Roelof Horne. Economist Dennis Dykes, at South Africa’s Nedbank said Nigeria's new position as Africa's largest economy should be "viewed positively". "It's important that economies were measured accurately...it gives potential investors a good picture of activity," he said. "The news figures should help South African investors identify new opportunities in Nigeria, especially in areas that were previously not factored in." Dykes said South Africa's $7,508 GDP per capita, higher than Nigeria's $2,688 was still the most important measure of the economy. "Being Africa's number one is definitely a great confidence booster for Nigeria, but it won't change much," he added. With 170 million people, Nigeria is about three times the size of South Africa and has enjoyed high rates of growth, notwithstanding widespread corruption, poor governance, rampant oil theft and a raging Islamist insurgency in the north. According to the International Monetary Fund, Nigeria averaged 6.8 percent annual growth from 2005 to 2013 and was projected to grow this year at a rate of 7.4 percent. That compares to a little over five percent between 2005 and 2008-9 in South Africa, which has struggled to go beyond 3.5 percent since. Global investors have been eyeing Nigeria as a potential boom market, along the lines of the BRIC countries (Brazil, Russia, India and China) 10 years ago. But economists have warned not to take the new figures at face value, given that South Africa -- the continent's only G20 member -- has fewer people and is streets ahead in areas such as infrastructure and governance. Okonjo-Iweala said GDP per capita in Nigeria was now $2,688 -- up from $1,555 in 2012 -- taking the country from 135th position in the world to 121st. GDP per capita in South Africa in comparison was $7,508. Kale for his part said the figures should not be seen as an end in themselves but should be used to help the government shape policy for the future. The next rebasing was planned for 2015, with the results out in 2016, he added. For ordinary Nigerians -- most of whom still live on less than $2 a day -- the rebasing is likely to have little effect, but it will improve the country's balance sheet and its credit rating and promote it from being a low-income economy. Nevertheless, Nigeria still faces an immense challenge in terms of infrastructure deficits. Slow ports, bad roads and a lack of electricity are some of the major factors hampering business activity. Bismarck Rewane, the head of the Lagos-based Financial Derivatives Company said the exercise could only be meaningful "if it impacts positively on the living standards of the people". "Nigerians will still buy petrol at the same price, they will still have the same amount in their pockets, electricity is not going to improve on Monday morning," he said. "So, the exercise is a journey from reality to vanity," he added. South Africa will continue to remain the most competitive economy, despite Nigeria's new status, he added.